Aloft Hotel, the first international class hotel in Batu Kawan, will be opened at Aspen Vision City here. Aspen Group president Datuk M. Murly and Marriott International Inc Hotel Development, Asia Pacific senior vice-president Kevin Chen signed the agreement to build the 308-room hotel in the mainland province of the state, witnessed by Chief Minister Chow Kon Yeow. The two companies also signed a Memorandum of Understanding (MoU) for the purpose of developing one of the residence towers of Vogue Lifestyle Residence under the Aloft brand where Marriott International will provide various services for the marketing and management of the residence where they can also enjoy the exclusive hotel services at the Aloft Hotel. “The excellent connectivity and infrastructure at Batu Kawan has opened the floodgate of commercial activities and business opportunities, shifting Penang’s economic landscape to this growing metropolis,” said Murly in his speech before the signing ceremony. The 260,000 square foot hotel will be complemented by full fledged hotel facilities. 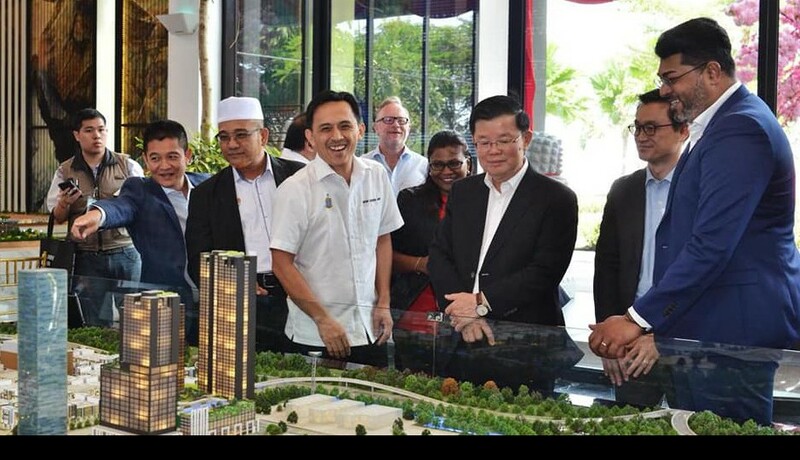 It also has direct access to the regional integrated shopping centre and IKEA Batu Kawan and seamless accessibility to other development components within Aspen Vision City. Speaking at the press conference, Chen was asked on the reason for agreeing to have the hotel here at Batu Kawan whereas majority of the big name ones were located on the island. He said that Batu Kawan had the potential to provide a unique experience to their customers. “We want to give something that is appealing and we saw the potential Aspen Vision City here can offer for them,” he said. The 30 storey hotel is expected to open in 2023.